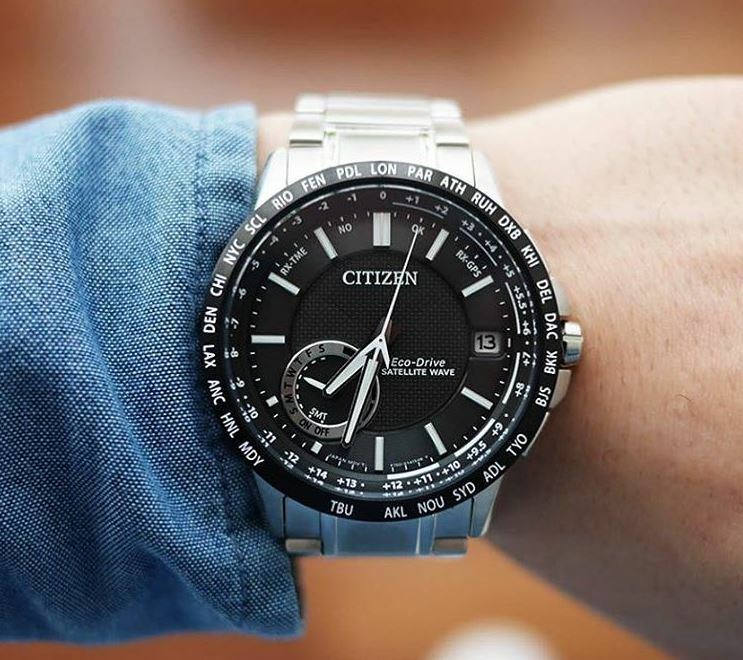 The pricey Citizen masterpiece which comes with almost no compromises. 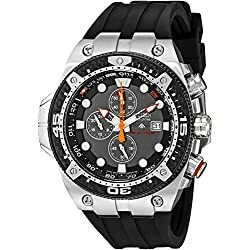 This is an excellent watch, it looks great, & performs well. 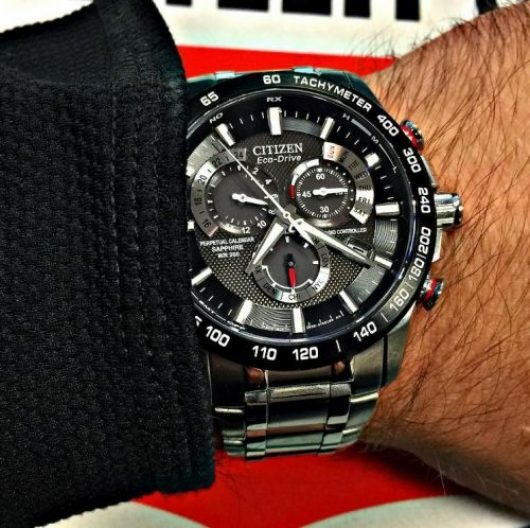 I generally have to wear a tie to work & this watch dresses up very well. 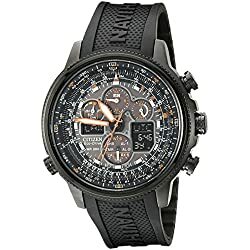 I have owned this watch for two years now and I love it but! 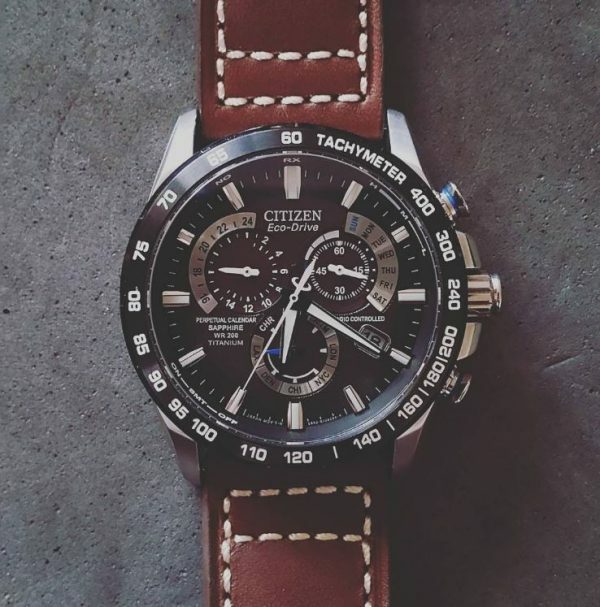 Citizen is one of those watch companies that you know from your childhood. 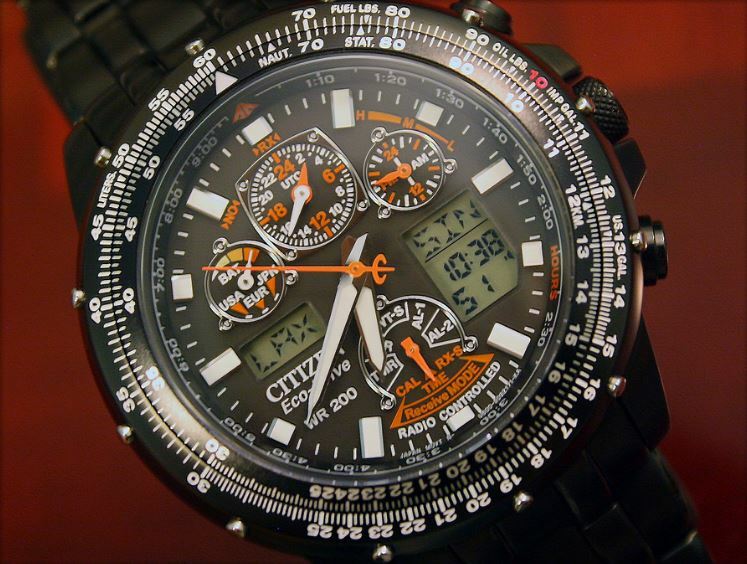 Everybody had a Citizen watch due to their reliability and affordable price tag. 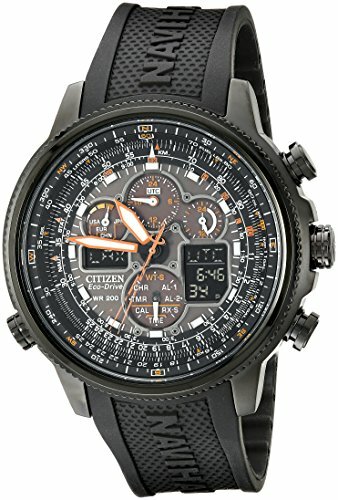 Citizen was founded in 1918 and it continues to surprise with the new watches they come up with to the market. 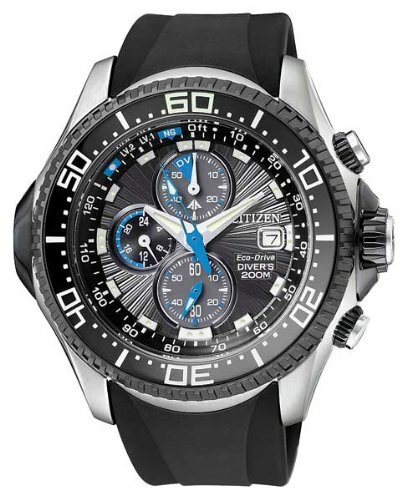 The Citizen Aqualand BJ2115 is yet another example of the continuous improvement that Citizen assumed. 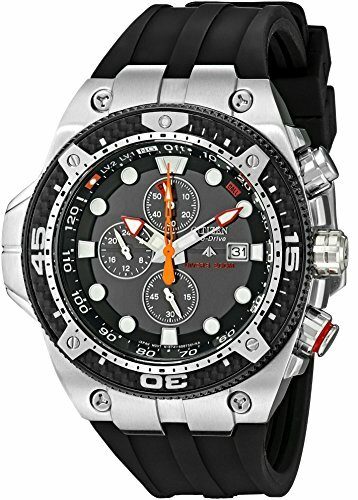 This is a luxury looking watch that turns heads and will surely make your friends and business partners ask you about every aspect of it. 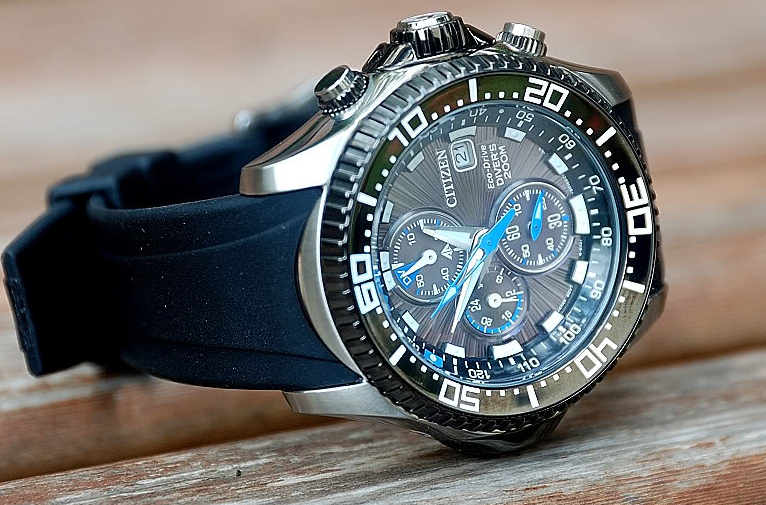 This is why the Citizen Aqualand BJ2115 is not just a serious Dive Tool but also a piece of jewelry which creates status and added value to your image. So the advantages of it won’t be just pragmatic but will also positively impact your relationships and prestige. 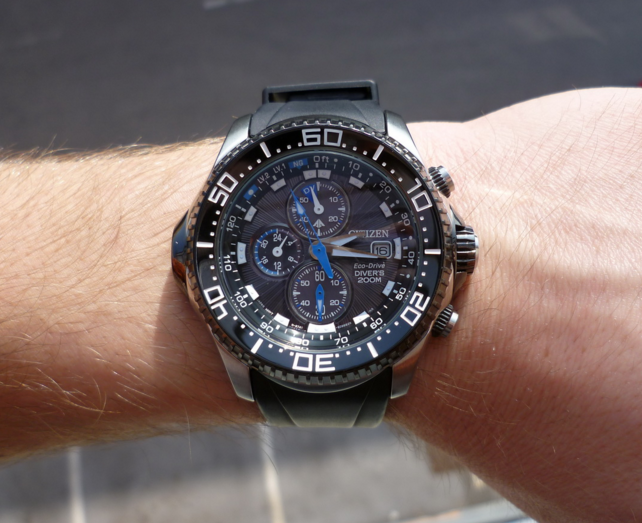 First and foremost before looking at any other aspect, it is imperative to say that the watch is huge. 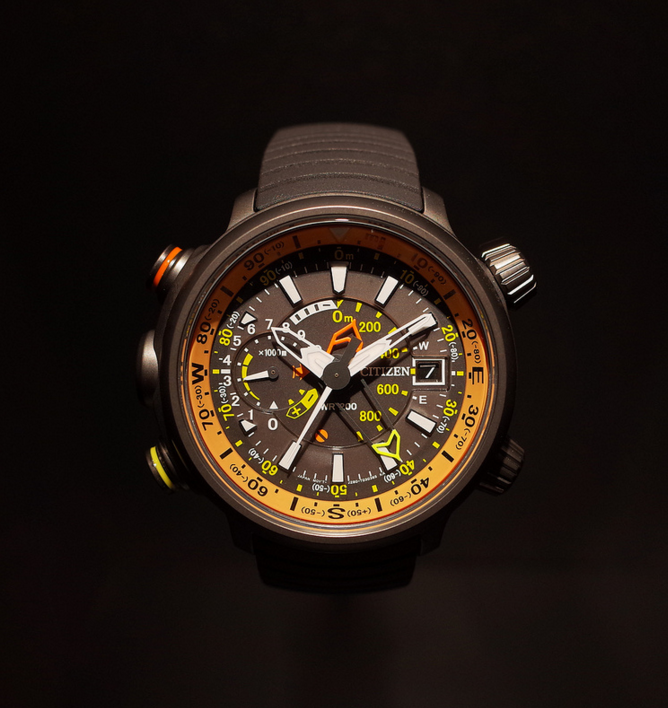 At a case diameter of 50 mm, the feel on the wrist is quite significant; this is why I would not recommend it for people with smaller wrists. Now that this aspect is clear we can talk about the case. 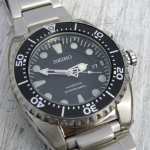 It is made of a quality stainless steel that I would say is a little too much brushed in order to look shiny. 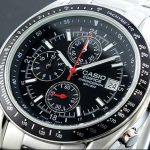 It features one large screw down crown on the right side along with two smaller crowns for the chronograph and other adjustments. However, the rubber band perfectly complements the feel of the brushed stainless steel thus making it perfectly suitable for every kind of wetsuit or other clothing for activities which imply water. 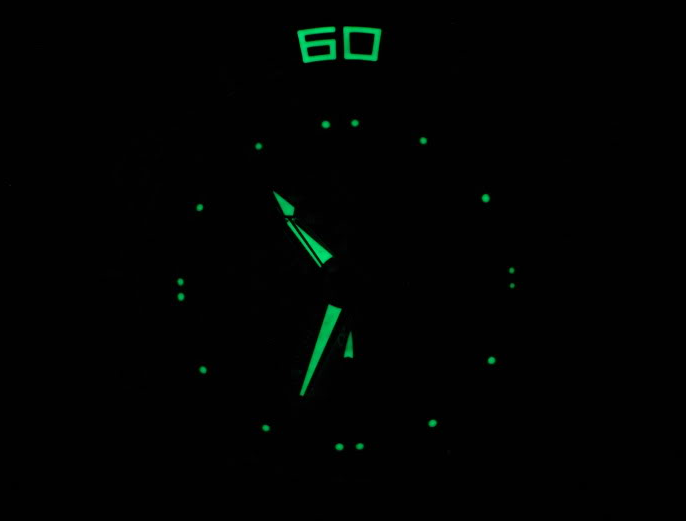 As you can see in the above image the illumination is fine although not as good as the Seiko’s LumiBrite. 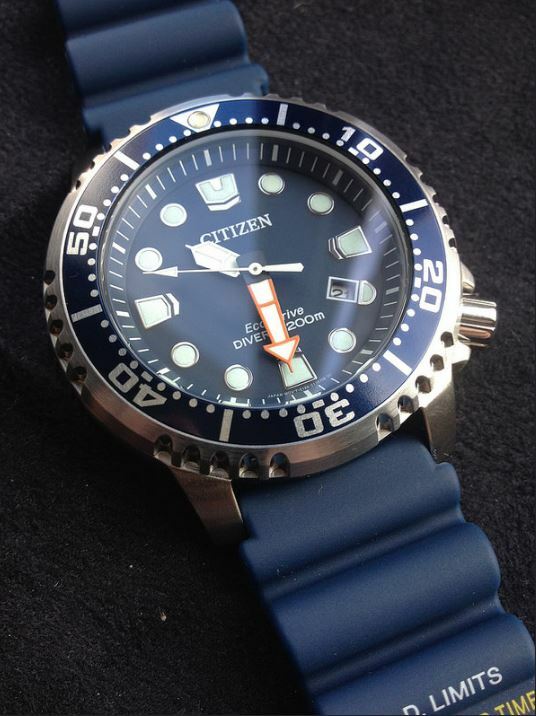 I don’t like that Citizen choose dots so small for the hour indicators. 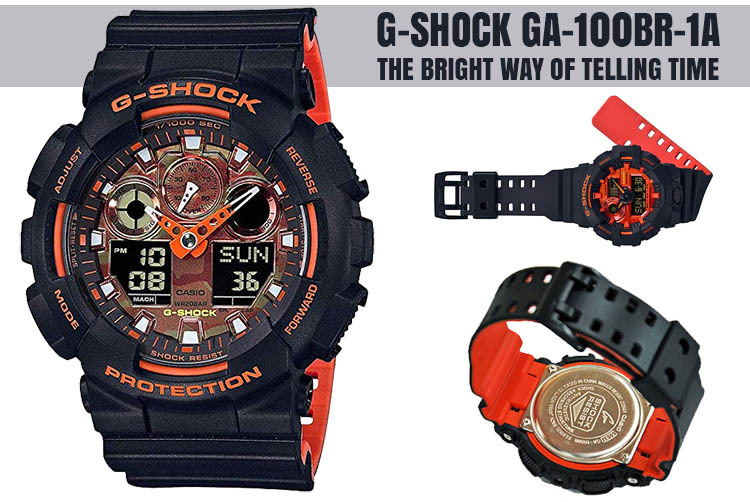 Anyways, at least, the paint is bright and will make the watch readable in most environments. 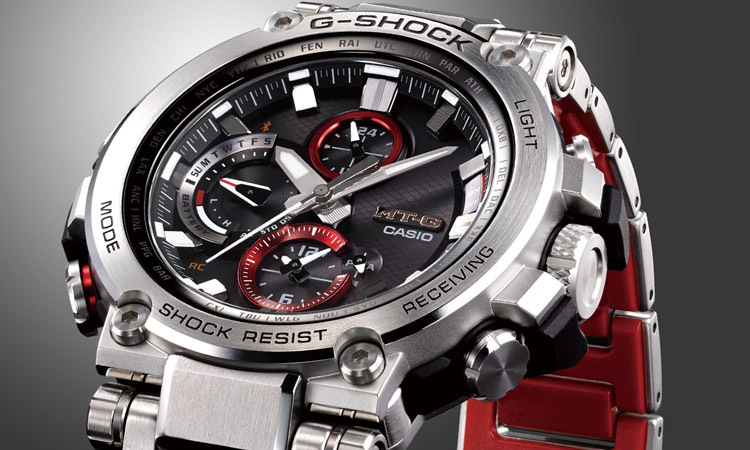 The Eco-Drive technology assures that the watch is always charged just by exposing it to light. 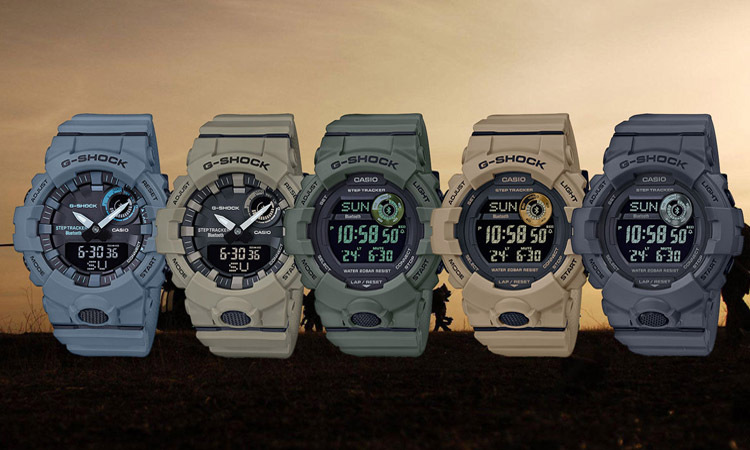 This is especially useful because you will never have to swap batteries. 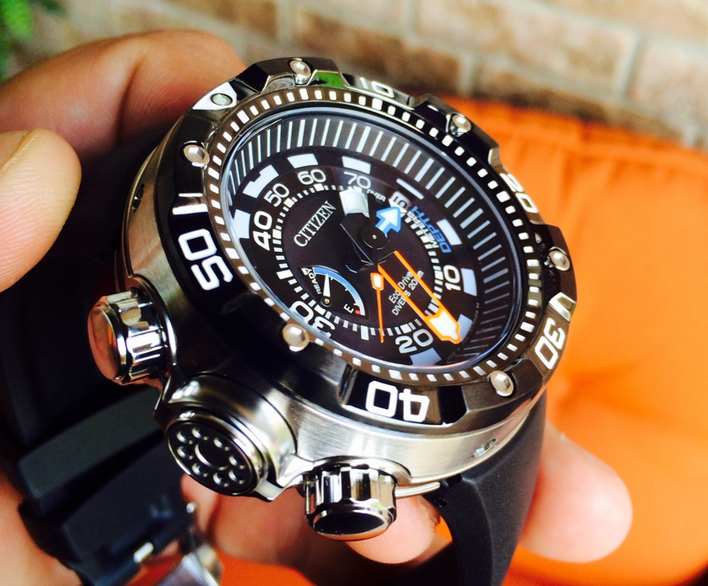 Another sweet feature that is not so present on other dive watches is the dive meter which measures the depth of the water and displays it in feet. 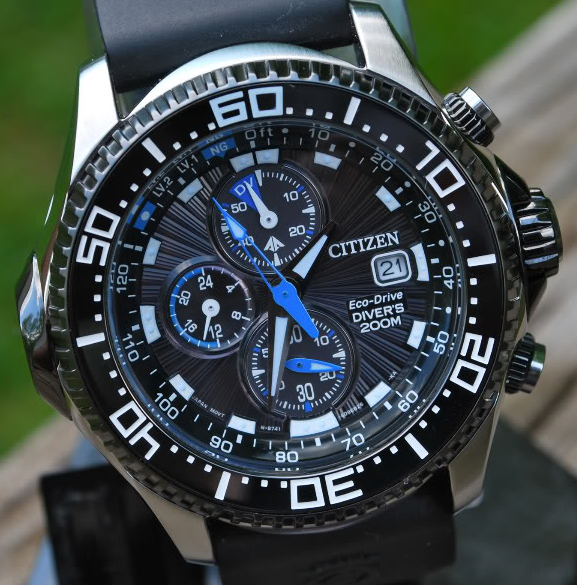 As a final note, I would mention that the Citizen Aqualand BJ2115 is not a watch for everyone. 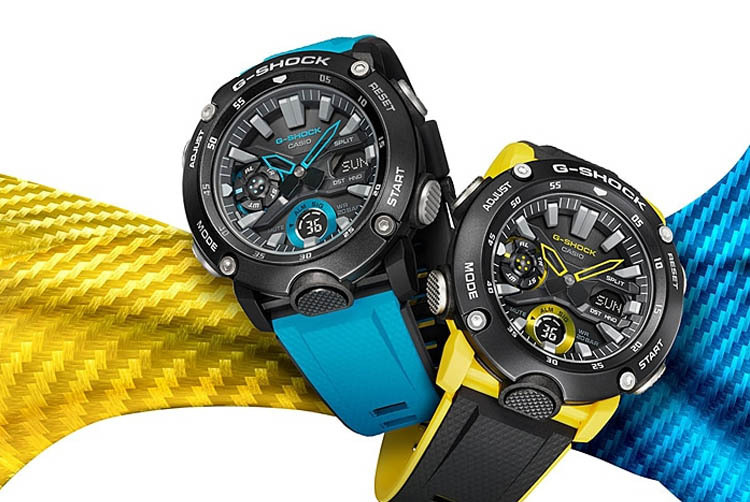 It is a finely crafted masterpiece which comes with smart functions for both divers and regular users alike. 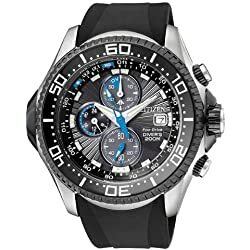 If you want one of the best dive watches on the market which will offer an improvement in your style / status and you are willing to pay a bigger price for that, then the Citizen Aqualand BJ2115 is the watch for you. 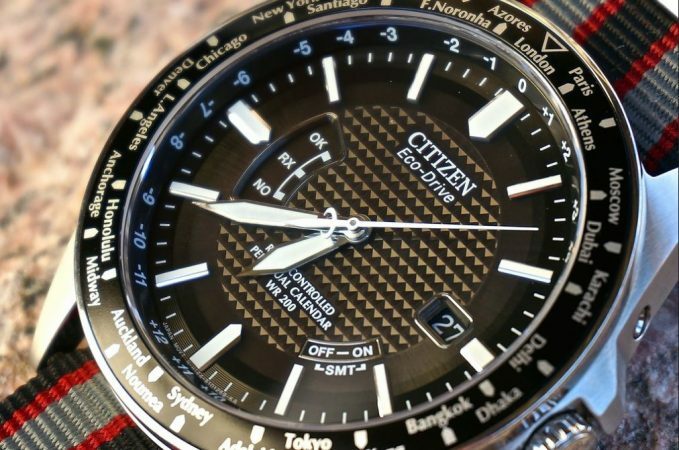 You might also be interested in our reviews on these two other Citizen watches: the colorful Altichron BN5030 or the diving masterpiece, the BN2029 Promaster Aqualand. 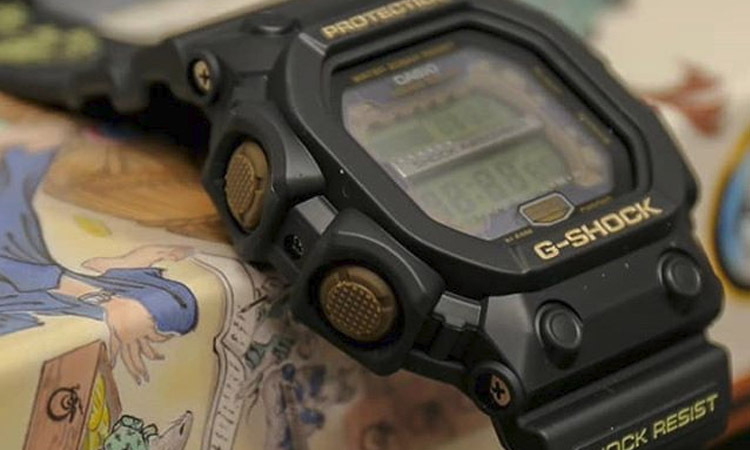 Water resistance up to 200 m or 660 ft.